An E-Waste Collection is a great way for students to be empowered to keep harmful chemicals found in electronics such as computers, phones, batteries, etc out of our landfills. Hazardous chemicals such as mercury leach from the e-waste and seep into the land, potentially spreading to water sources. By hosting an e-waste collection at your school, you are creating an easy way to help the broader school community dispose of their e-waste properly. In the process, you are teaching other students and parents not to throw away old electronics and inspiring everyone to reduce, reuse, and recycle electronics in the future. 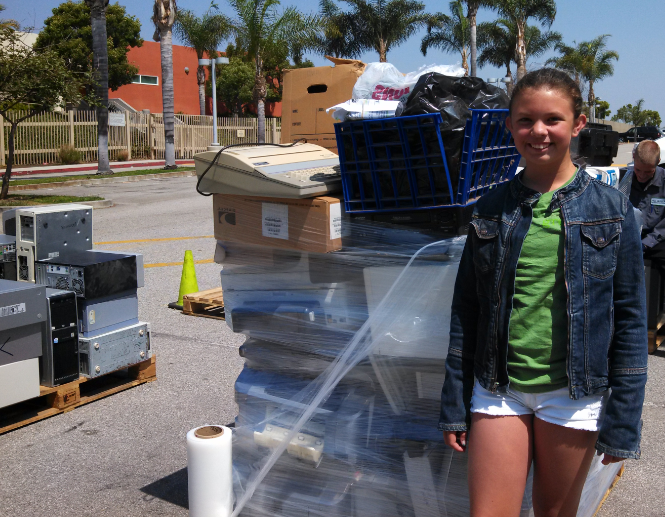 The e-waste collection activity could even be hosted as a fundraiser for the school. 0 Responses on E-Waste Drive"